For your comfort, we have reserved rooms at preferential rates in 2* to 4* category establishments. local tax, VAT and fees included. Featuring free WiFi and a restaurant, Kyriad Prestige Pau – Palais des Sports is located only 6km far from the city center and the race track. The hotel has a terrace and fitness centre, and guests can enjoy a drink at the bar. Each room at this hotel is air conditioned and is equipped with a flat-screen TV. 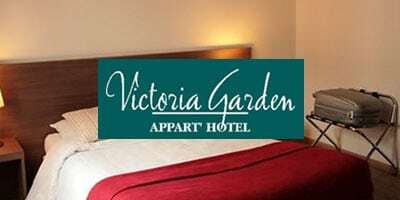 Ideally located just 4 km from the race track, near Pau city centre and the autoroute exit, the Appart’hotel Victoria Garden’s well-equipped studios make a great base for discovering Pau. The 72 fully renovated studios are entirely furnished, functional, and comfortable. Free Wi-Fi is available in all of them. VAT and fees included. No breakast service in this offer. Comfort Suites Pau Idron offers modern self-catering accommodation, a garden and a patio. 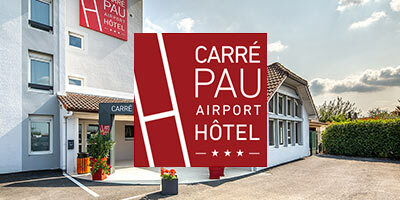 It is located 5 minutes’ drive from the centre of Pau and 6 km from the race track. Free WiFi is available. The apartments at this comfort Inn feature a flat-screen TV with TNT channels, a work desk and a kitchenette. Each has a private en-suite bathroom. Additional facilities include a laundry room and a cleaning service. No breakfast service in this offer. The 42 modern, quiet and comfortable rooms have a desk and a flat-screen TV and are equipped with a private bathroom with a hair dryer. This 3-star hotel features free WiFi and a shared cosy lounge. The daily breakfast offers continental and buffet options. local tax, VAT and fees included..
Hôtel Restaurant Le Relais is located 5 km from the centre of Pau and 7 km from the race track. It features a French restaurant and a bar. The air-conditioned rooms have a flat-screen TV with satellite channels. The rooms at Hôtel Restaurant Le Relais have a private bathroom with a hairdryer. A courtesy tray with an electric kettle and free Wi-Fi access are provided. local tax, VAT and fees include. This boutique hotel 3* is located downtown in a quiet area close to the historic heart of Pau. The Montpensier Inter-hotel, an elegant mansion, offers 22 spacious and well equipped (free wifi), each with a different decoration. It offers a free parking and it is situated less then5 minutes from Pau city center. This Quick Palace is located in the north-east of Pau, 6 km from the race track and just 1 km from the A64 Motorway, La Pyrénéenne. 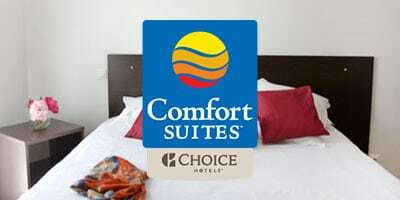 The hotel is air-conditioned and offers rooms with cable TV and private bathroom. A full buffet breakfast is served every morning at the Quick Palace Pau. There are also on-site vending machines providing drinks and snacks 24/7. You will find a Best Western restaurant opposite the hotel. Free Wi-Fi access is available in the entire building and there is a security guard on site at night and at weekends. 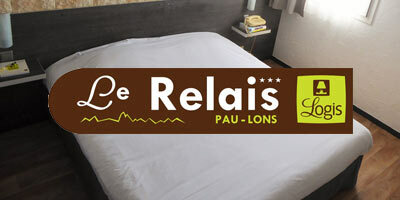 Situated opposite the university and just 1.5 kilometres from the centre of Pau, the A l’Hôtel Pau Université offers quality accommodation at an affordable price. A buffet breakfast is available in a charming dining area, recently renovated and decorated with a musical theme. A free private car park is available.